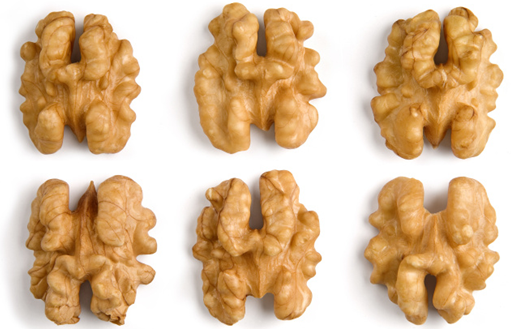 Product categories of Chinese Walnut Kernel, we are specialized manufacturers from China, Chinese Walnut Kernel, Raw Walnuts suppliers/factory, wholesale high-quality products of Walnut Kernel R & D and manufacturing, we have the perfect after-sales service and technical support. Look forward to your cooperation! A walnut is the nut of any tree of the genus Juglans. Technically a walnut is the seed of a drupe or drupaceous nut, and thus not a true botanical nut. It is used for food after being processed while green for pickled walnuts or after full ripening for its nutmeat. Nutmeat of the eastern black walnut from the Juglans nigra is less commercially available, as are butternut nutmeats from Juglans cinerea. The walnut is nutrient-dense with protein and essential fatty acids.Our Chinese walnut is grown in Xinjiang province of China. The output of it increases 33.33% this year.